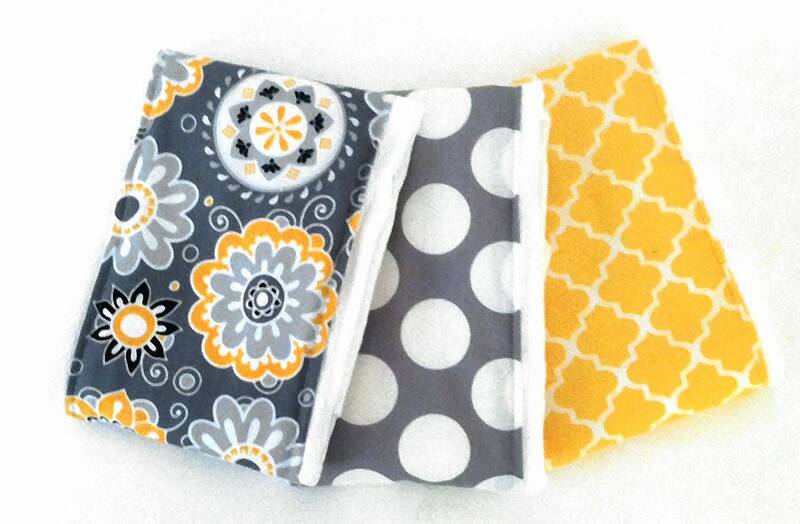 Stylish set of 3 burp cloths in trendy prints. What better way to clean their little messes in style! 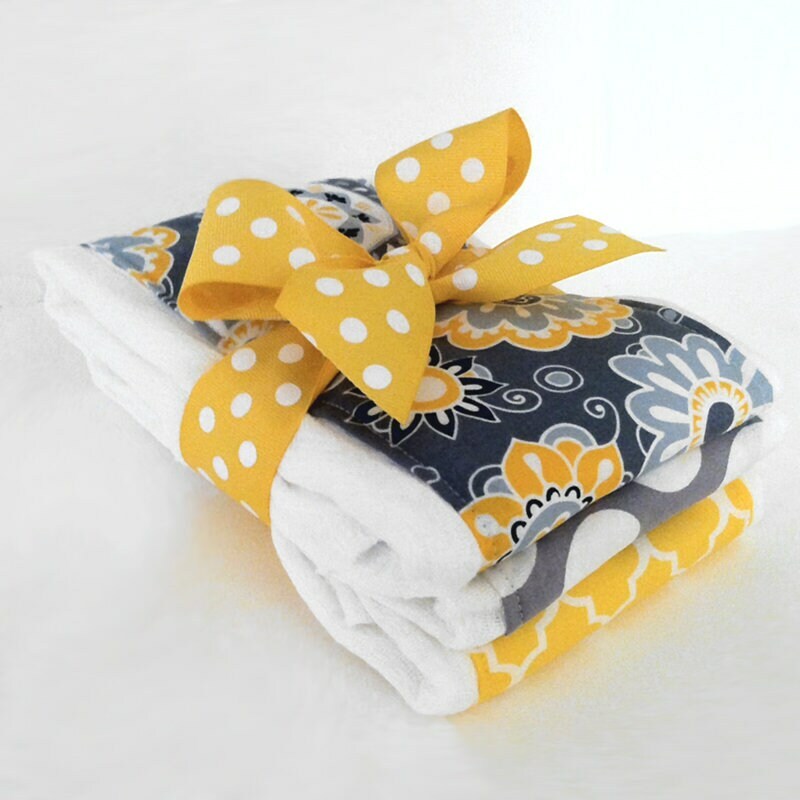 Our Sunshine Burp Cloth set includes three burp cloths each with charming fabric center panel. Burp Cloths are a very popular and unique gift the new mom will love to receive at the baby shower or as a new baby present! Burp cloth size about 13" x 18"
These high quality burp cloths are pretty enough for special outings but durable for every day use.